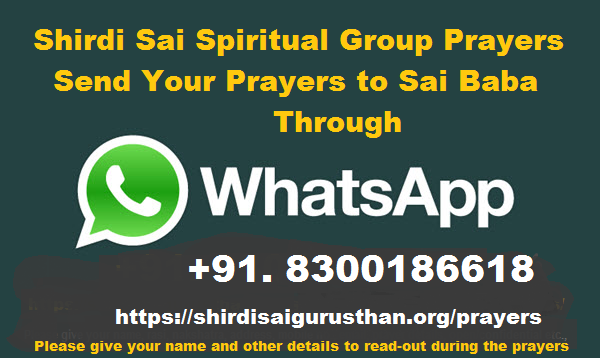 Effective from Sai Baba's 98th Punya Thithi day, 11th October, all prayers received online, Whatsapp and Prayer Drop Box will be submitted at Baba's Lotus Feet after Dhoop Aarati on all Thursdays. 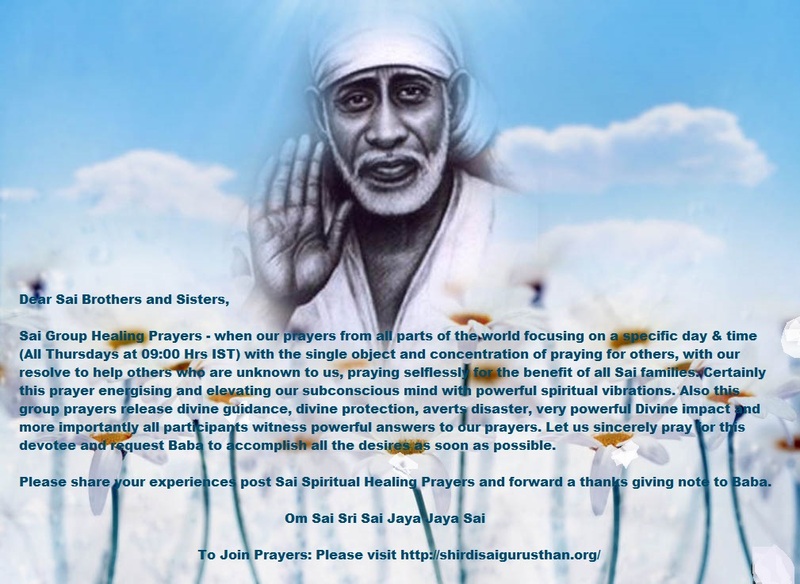 To Commence this change, the prayers received up to Vijaya Dhasami day, will be placed at Baba's Lotus Feet after Dhoop Aarati and group prayers will be conducted with all devotees assembled at Mandir on 11th October 2016, Baba's Maha Samadhi Day. 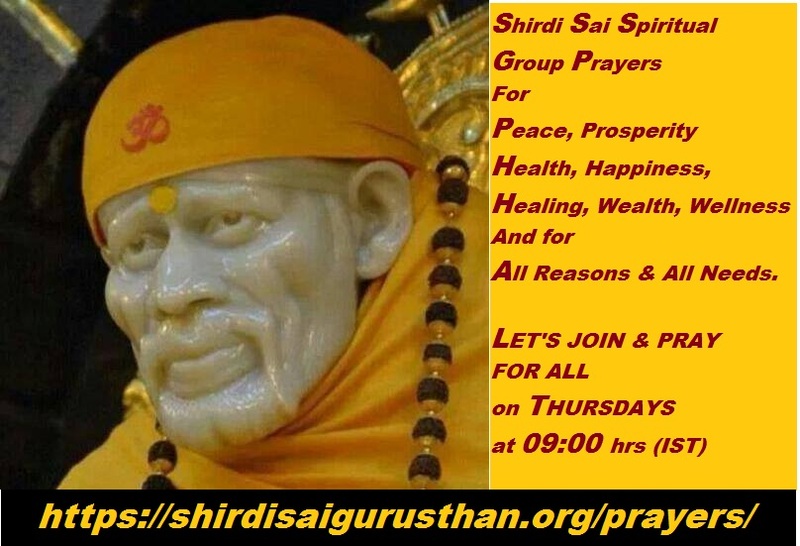 Please note the change and avail this blessed opportunity.